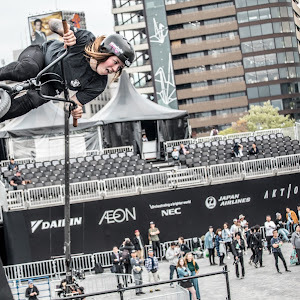 Emma Finnegan is a BMX rider from the UK, and we did an interview to get to know her. Keep reading below! 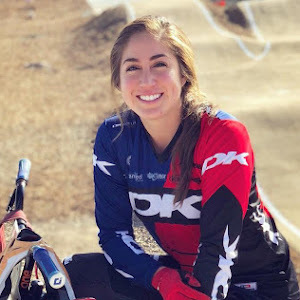 Beatrice: Where are you from and how did you get your start in BMX? Emma: I'm from Liverpool in the North West of England. When I was 11 years old my friend Liam had a black and gold bmx and I thought it was the coolest thing ever. For my birthday my parents bought me my own bmx and I started riding it around the neighbourhood with my friends, no tricks just getting from A to B was fun. At 15 I saw people doing tricks at the skatepark on bikes. After I turned 17 I began to learn to trick a bmx too. Beatrice: What is Fise like for someone who's never competed before? Is it welcoming, well scheduled, any tips you'd have for someone new to Fise? Emma: Fise is a trip! In Montpellier the energy is wild and it can get intense, but having the opportunity to be one of the athletes definitely made me feel part of something. I personally didn't have any issues with the schedules. I'd suggest wandering around and taking a look at what's going on, the whole experience is worth digesting at least once. Beatrice: What's running through your head when you think about the 2020 Olympics, is it something you're going for, has your country reached out to you and how are you preparing for this huge event? 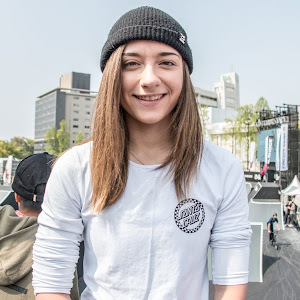 Emma: The Olympics should be pretty interesting, it's definitely a huge opportunity for bmx. I would say it's something that I'm thinking about but I haven't been approached by anybody about it. Right now I'm just riding and having fun. Beatrice: How do you feel about there being only a limited number of spots for the Olympics? Does this add any pressure, do you feel that more riders should have the opportunity, what are your thoughts and feelings so far on the information provided about the qualifying process? Emma: I'm hyped to see who will qualify. I suppose the pressure will be different for everyone but it would be cool to have more people involved for sure. I don't know much about the qualification process but I'd be interested to know more about it. Beatrice: Who is Emma when she’s in competition mode? Beatrice: Where are your top three spots where you enjoy riding the most? Emma: Rampworx Skatepark in Liverpool, England. Breaking free Skatepark in Rochester, New York. Beatrice: If you could name a very underrated female rider, someone who should deserve more coverage, who would that be? Beatrice: In your perspective, how is the BMX scene for the ladies? Is it growing, stagnant, where is it heading and where do you want to be with BMX in 5 years? Emma: The ladies scene is small but growing. Three years ago in England, Nass festival hosted its first ever ladies comp with only 5 girls. It has been cool to see more girl riders each year. 5 years from now I want to still be having fun riding and meeting new people. Nikita Ducarroz just released her latest edit with her sponsor Mongoose bikes. 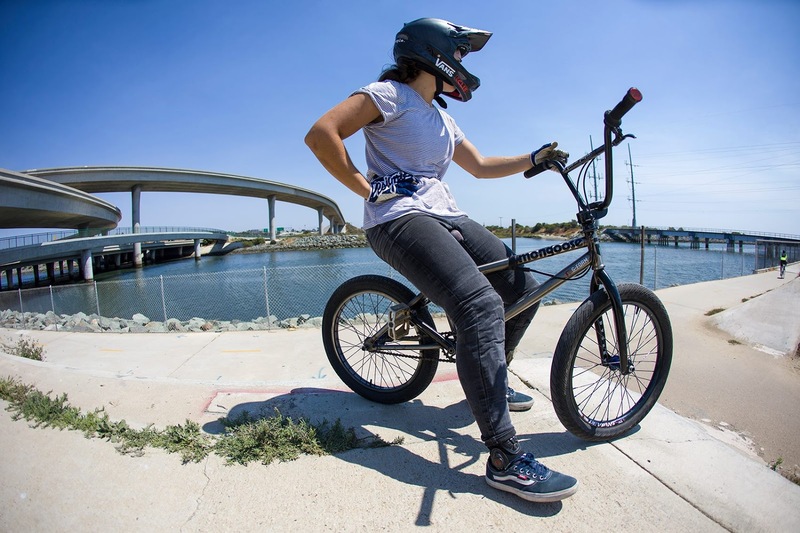 "Mongoose Bikes rider, Nikita Ducarroza moved from a tiny NorCal village to San Diego. Moves are always challenging but now that she's been there a little while Nikita said; "it’s hands-down the only place I’d ever want to live!". One thing that really impressed her was the riding scene. "I especially love the fact that you can ride everything here. For this video, we spent three days hitting up the Claremont and MLK skateparks, Home Ave Ditch, and a few other spots around San Diego." Looks like Nikita likes her new territory."